Ksawery Wójciński – double bass (Poland) and Szilveszter Miklós – drums (Hungary-Serbia) will stay in Novi Sad during the jazz festival within the ‘Plants AiR’ residential programme of the ‘Novi Sad 2021’ Foundation in Novi Sad from 7 until 12 November. The music residence is an international artistic programme that promotes cooperation of famous foreign jazz artists and local artists and students, interested in new creative work. Within one-week cooperation, two artists in residence will create new copyright music material in cooperation with saxophonist and composer, professor of music, Jasna Jovićević (ARTRUST). 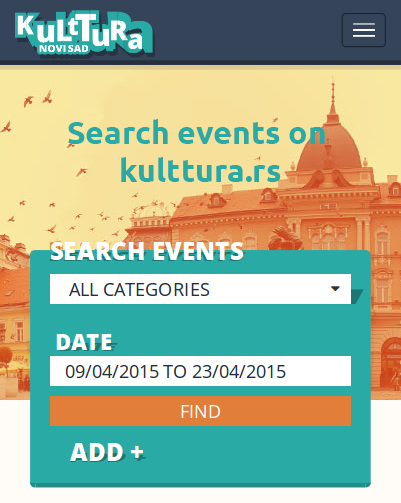 Namely, artists will have a couple of rehearsals, workshops and open dialogues with the artist, exchanging ideas, knowledge and skills by composing new music through professional cooperation with professor and students of the Academy of Arts from the Department of Music, as well as local musicians from Novi Sad. Everyone who wants to cooperate with musicians and try their hands at improvisation and contemporary music based on jazz is invited to join workshops that will be held in the studio of students of audio and music production, the Academy of Arts in Kosovska Street no. 33. 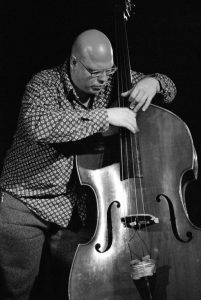 Artists will perform as trio Jovićević-Wójciński-Miklós together with guests in LAB Cultural Centre on Saturday, 10 November from 9:00 p.m.
Ksawery Wójciński is a jazz double bassist from Poland, and he is famous and active musician at the music scene of contemporary jazz. He graduated from the music academy in Bydgoszcz, and he performed at important international festivals across Europe: Akbank Jazz Festival (Istanbul), Periferias Festival (Spain), JazzFest Berlin and Nordishcer Klang (Germany), inJazz (Netherlands). He recorded twenty albums of original music as a soloist and backing musician, among others with Hamid Drake, Uri Caine, Charles Gayle, Nicole Mitchell, Satoko Fujii, Alan Bern, Michael Zerang, Mikołaj Trzaska. Szilveszter Miklós, drummer from Budapest, who hails from Vojvodina. 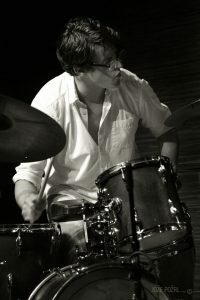 After he graduated violin, he continued to learn and play jazz music on drums. He graduated from Jazz Department of the Liszt Ferenc Academy of Music and he performs with famous avant-garde creative artists such as Grencsó István, Benkő Róbert, Pozsár Máté, Ajtai Péter, Mezei Szilárd, Szelevényi Ákos and Dresch Mihály. On the international scene, we could see him perform with Lewis Jordan, Johannes Bauer, John Dikeman, Peter Brötzmann and others.